Enter the cosy bar of the 17th century Queens Head through a small entrance hall. 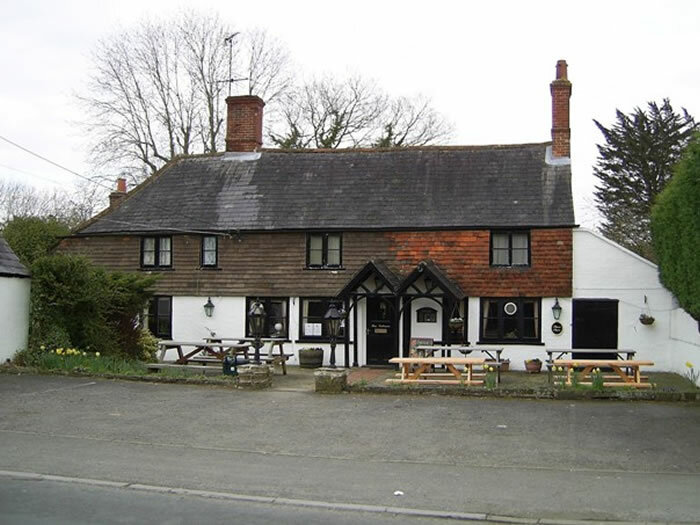 The pub has four fireplaces including a large inglenook where rumour says that smugglers used to hide their contraband (there is a road nearby called Smugglers Way). There is an attractive garden, with flower covered pergola, at the back of the pub. Beers are from local Sussex breweries. The pub was originally called the Jug and Bottle. Image: The Queens Head. Copyright Dan Gregory and licensed for reuse under this Creative Commons Licence.